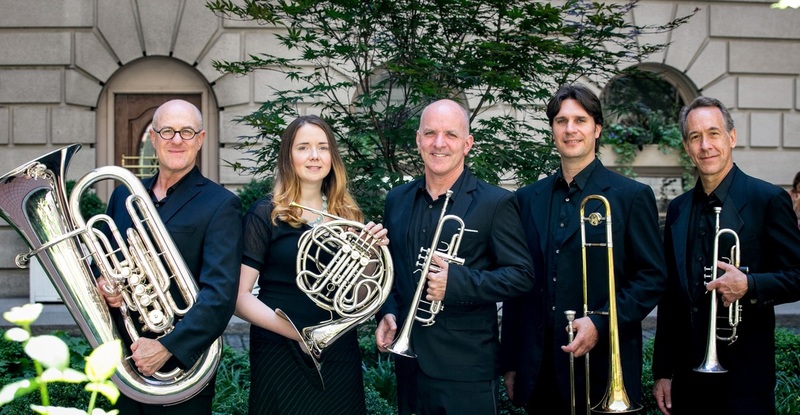 The Chamberlain Brass is one of the most exciting and versatile chamber music groups in New York City – bringing together multiple styles & eras, fresh arrangements, and the unique sound of a brass quintet. From the renaissance to baroque, classical to jazz, and pop to Broadway, The Chamberlain Brass combines exquisite musicianship with wit and flair. With five of the finest brass players in New York City, The Chamberlain Brass is a musical gem. The Chamberlain Brass musicians play with the finest ensembles in New York - The New York Philharmonic, Metropolitan Opera, St. Luke's Chamber Orchestra, American Symphony Orchestra, Lincoln Center Chamber Music Society, Radio City Music Hall. Our musicians studied at Juilliard, Manhattan School of Music, Eastman School of Music and New England Conservatory. Franco Finstad started his brass quintet career with the Brass Act Brass Quintet of Northern California, with whom he played for 10 years. Upon moving to New York City in 2002 he found that there was a need for a quality brass group that could span all the styles and genres demanded by New York audiences. This led him to establish The Chamberlain Brass in 2010. Mr. Finstad has bachelors in Physical Sciences from UC Berkeley and a Masters in Music from the Manhattan School of Music where he studied with members of the New York Philharmonic, Lincoln Center Chamber Orchestra, and American Brass Quintet. He played principal trumpet with the UC Berkeley Orchestra and toured the country with the Black Diamond Jazz Band. He has also led his own jazz quartet in New York City playing at Detour and Kavehaz. He continues to freelance in New York City in both the classical and jazz genres. He lives with his wife and two children on the Upper West Side. 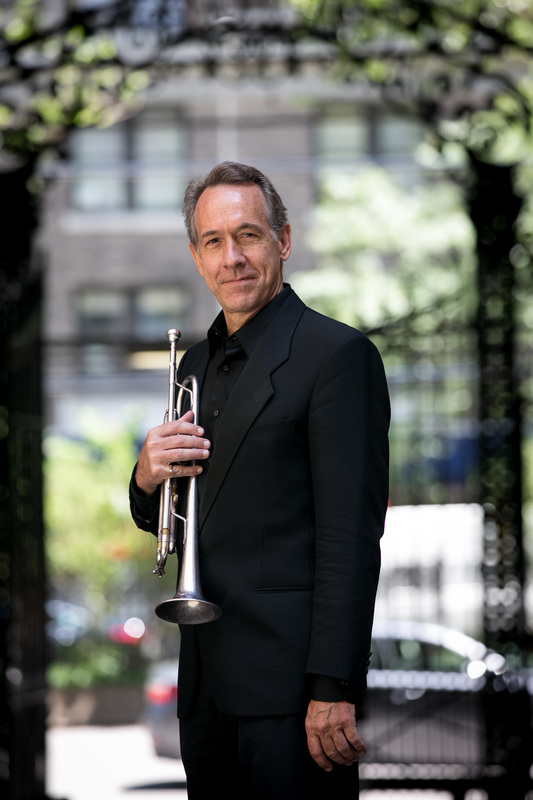 Terry Szor has appeared with the New York Philharmonic, Boston Pops Esplanade Orchestra, Brooklyn Philharmonic, the Bronx Arts Ensemble among many others. He has performed for several Broadway shows, Radio City Music Hall, numerous television and radio commercials and soundtracks for video games. As a member of the award winning (Walter W. Naumburg Chamber Music Award, Fischoff, etc.) Saturday Brass Quintet, Mr. Szor performed recitals and led educational programs at such venues as The Kennedy Center, Lincoln Center and Carnegie Hall. He performs as the principal trumpet with Opera Saratoga, Hudson Valley Philharmonic and the New York Gilbert and Sullivan Players. As a freelance educator he has taught and performed extensively in the NYC area. He has taught through the Center for Arts Education, New York Young Audiences, Midori and Friends, The Juilliard School, Queens Symphony Orchestra among others. He is a graduate of the New England Conservatory of Music. 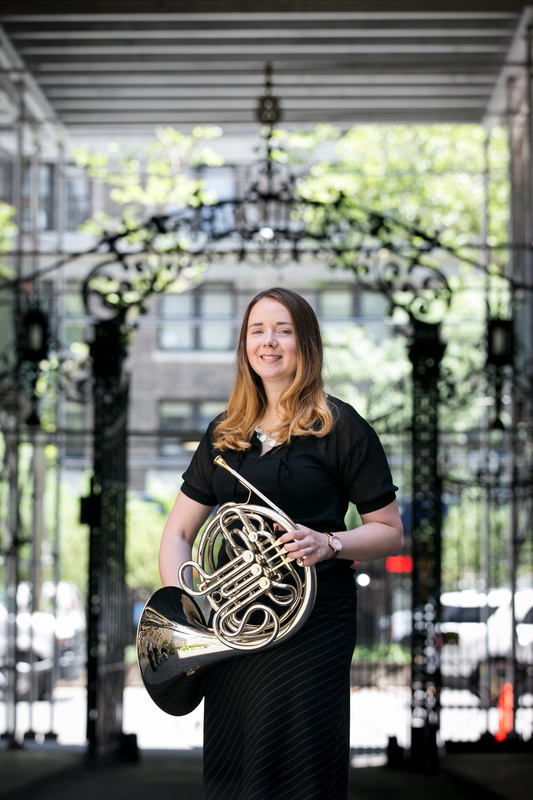 Pennsylvania native Patty Schmitt, made her way to New York City in 2003, immediately jumpstarting her freelance career by becoming a French hornist for three local orchestras and a brass quintet. In seasons past, Ms. Schmitt performed with numerous local orchestras, opera companies, chamber groups, choirs and dance ensembles. Ms. Schmitt has sustained current positions in approximately three dozen professional music ensembles around New York City metropolitan area, one of which invited her to perform as a soloist in 2010. In 2003, Ms. Schmitt received a Bachelor’s Degree in horn performance from the New England Conservatory. There, she was a scholarship and Dean’s List student under the tutelage of members of the Boston Symphony Orchestra and Boston Baroque horn sections. During her time in Boston, Ms. Schmitt gave four solo recitals and was active in chamber music. Since her career in the New York/New Jersey metropolitan area began, Ms. Schmitt has performed in such venues as Carnegie Hall, Radio City Music Hall, Avery Fisher Hall, Alice Tully Hall, The Town Hall, Weill Recital Hall, Symphony Space, New York City Center, Merkin Hall at Kaufman Center, Bergen PAC and Skirball Center for the Performing Arts. Mike Boschen began playing the trombone in fourth grade because his arms were long enough to reach all the positions. While studying with members of the Philadelphia Orchestra in high school he decided to pursue a career in music, and subsequently attended the Eastman and Juilliard schools of music, meeting many lifelong friends and mentors along the way. Mike spent the next 12 years living in Manhattan and freelancing, playing lots of great music for good, decent, or sometimes no money with myriad groups, including the Metropolitan Opera, the Village Vanguard Jazz Orchestra, the Birdland Big Band, Orpheus Chamber Orchestra, Orchestra of St. Luke's, the O'Jays, the Extension Ensemble, the Toshiko Akiyoshi Jazz Orchestra, Jesus H. Christ and the Four Hornsmen of the Apocalypse, the Ed Palermo Big Band. Mike recorded music for Broadway show cast albums, radio and tv commercials, movie scores, and albums for artists such as Wayne Shorter, Audra MacDonald, Manhattan Transfer, Slide Hampton, Mike Davis, Victoria Clark, Judy Kuhn, and more. He even got paid to pretend to play his trombone in the movie Mona Lisa Smile and a goofy eBay commercial. Mike is grateful to have studied with many wonderful musicians through the years and has developed a love for working with younger players as well. 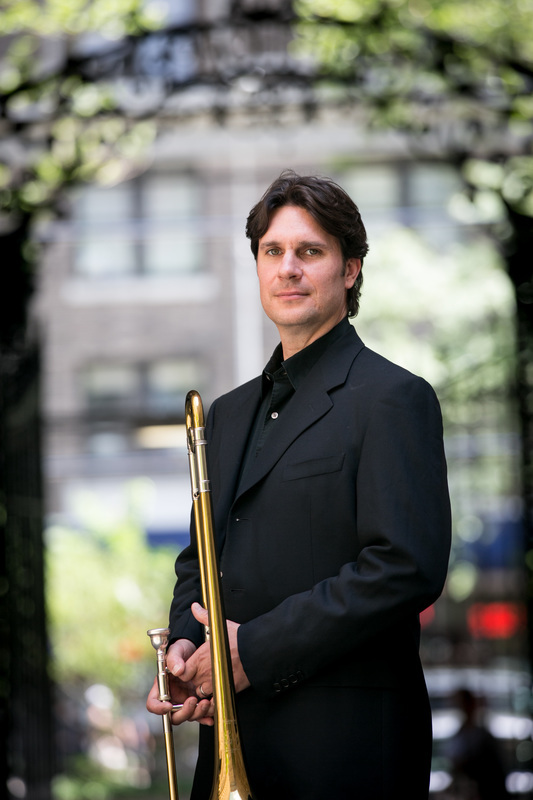 He has been on faculty at Sarah Lawrence College, Juilliard Pre College, Bar Harbor Brass Week, and the John J. Cali School of Music. Originally from San Antonio Texas, Kyle Turner has lived and freelanced in New York City for more than 30 years. He is currently principal tubist with the American Symphony and the Orchestra of St. Luke’s. Mr. Turner performed and toured the world in over 500 concerts with the New York Philharmonic as acting interim principal from 2001 – 2004. 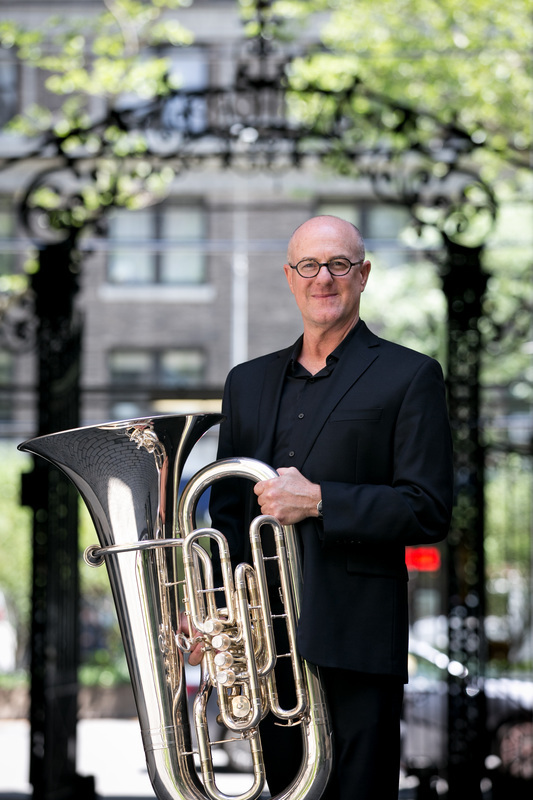 Mr. Turner is the only tuba player in the world that has accomplished winning the most coveted Walter W. Naumberg chamber music prize, with the Saturday Brass Quintet, and being principal tubist in a major orchestra. In addition, Mr. Turner has performed with some of the world’s greatest musicians, such as Luciano Pavarotti, Itzhak Perlman, Midori, YoYo Ma, John Williams,Wynton Marsalis, Andre Previn, Paul McCartney, Sting, Peter Gabriel, Dave Brubeck, James Taylor, Metallica, Cold Play at the 45th Grammy Awards, and many others. Mr. Turner has performed with Philadelphia Orchestra, Metropolitan Opera, the New York City Ballet Orchestra, the New York City Opera Orchestra, Orpheus, the American Composers Orchestra, the New York Philharmonic Brass Quintet, the Metropolitan Opera Brass, Canadian Brass (collaboration), German Brass (collaboration), Harmonic Brass of Munich, Solid Brass, the American Horn Quartet, the Radio City Music Hall Orchestra, numerous Broadway show Orchestras, and many others. Mr. Turner has played for many major motion picture soundtracks, radio and television commercials, including many Live from Lincoln Center Broadcasts. He can also be heard on over 25 records, including his first solo recording called “Expressions, The Heart of the Tuba”. Mr. Turner teaches at Montclair State University in New Jersey.